The best thing about lasagna is the leftovers for the day after. I don’t like to heat the whole thing up in the microwave oven. I prefer to heat it back up in a saucepan. It’s very simple and easy. 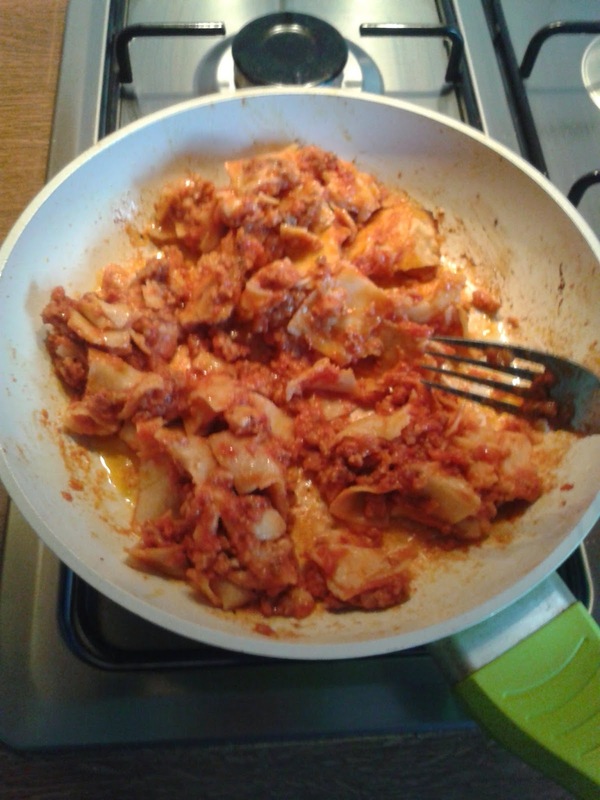 Just take the piece of lasagna from the day before and cut it in to small chunks. Put some good olive oil in your saucepan and bring it to a nice heat. Trow in your chunks and stir it all until it’s reached a good heat so you can eat it. Now you can choose to put it on a plate or eat it right out of the saucepan. I prefer the last! Enjoy this quick lazy dish! !